Very enjoyable stay. Excellent service. The owners are very friendly and the food was lovely. The whole family thoroughly enjoyed. Location is great as it is walking distance to the beach. Thank you very much to Tom, if we visit Penzance again, we will definitely go there again! Excellent stay.One of the cleanest B&B's we have stayed in.Good breakfast.Excellent location with parkingfor exploring Penzance.Tom gave us restaurant recommendations.Would definitely stay again.Only one improvement-the front garden seating areacould do with a little attention. Ideal location for our two night stay. 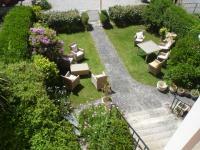 Accommodation very clean and comfortable, lovely sea views and good breakfast. You will not be dissapointed staying here. Lovely clean and furnished rooms.Breakfast as much as you desire and beautifully cooked and presented. The owners Tom, Rita and Phillip are wonderful hosts and brilliant sense of humour. We will be back. We have just enjoyed a stay at Lombard House our room was very comfortable and breakfast was great. Tom was a very interesting host. Great value. Room great-no repairs requiredeither! Breakfast... again best of a series.Courteous &friendly. This was a nice little hotel fairly close to the centre of Penzance. It was nicely decorated, with good-sized comfortable rooms and has private parking.Breakfast was very good with choice of cooked breakfast, including scrambled egg and smoked salmon. Also fruit salad, croissants, cheese ..Would recommend as a place to stay to explore western Cornwall. Lombard House is a lovely place to stay. 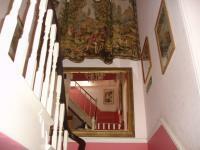 the family are very pleasant and helpful and the house is beautiful and kept to a very high standard. Breakfast is fabulous. My single en suite room was lovely and bigger than most. Very happy with everything. We really enjoyed this B&B. It was 5 star quality all round. The host was very welcoming. The room was spacious and so clean and comfy. What a fab sea view. The bathroom was large and had a bath and a shower. Towels were exceptional. The breakfast was superb too, plenty of choice. we will definitely visit again. Thank you. spend 2 nights, feel right at home, clean room, nice view of the ocean and good English breakfast. Tom is a gentle and gracious host. Two minutes walk to beach. Very nice stay, room was lovely, breakfast excellent and hosts superb. Second visit here. It is maintained superbly. Attentive hosts. Great position. We really enjoyed our stay with you. The room was airy and spacious, very clean.The bed was very comfortable and we slept very well.The breakfast was fantastic with plenty of choice including fresh fruit.It set us up for the day.The best b&b we have stayed in. The hotel and the service was by more than 100% excellent. Very clean Hotel with really friendly service team. We can recommend to stay here.Many thx even if we only stayed for one night. Warm, welcoming, helpful and very good value. Great breakfasts- lots of choice ad meticulous attention to cleanliness . I would definitely stay again. We loved our room and the view we enjoyed.Steps up to hotel and to some rooms, including lounge area and breakfast room challenging for some.Host graciously offered assistance with bags.Lovely breakfast. Although only one nights stay we were very warmly welcomed. The breakfast was excellent, and the bedroom was comfortable and very clean.We can highly recommend this hotel.One thing we missed, there was no Gideon Bible in the bedroom. Ms. Betsy Tuft came hoe very happy with her stay at your place. She does not have e-mail but I spoke to her. Had a great stay. Nice people,Well done Tom &Rita. Every thing was great.Room was spacious and clean. Breakfast was wonderful.Tom and Rita were very helpful. What more could you want? An excellent hotel, ideally located, very comfortable and superb food.We will certainly visit again. We thoroughly enjoyed our stay. Tom and Rita were friendly, helpful and accommodating. Our room was very comfortable and spacious. All this made for a very relaxing few days. Many thanks. This is a splendid hotel located within walking distance of great local restaurants.There is free parking and our huge room enjoyed a sea view with such a comfortable bed it was difficult to wake up in time for the well cooked choice of breakfasts.We were made very welcome and would definitely recommend this hotel for a stay in Penzance. Lovely room and breakfast, recommended place to stay. Near to the front, town centre and the Rugby ground. Hope to return again in the future. My sisters and i have stayed here a couple of times at the Lombard house hotel.We all loved our short stay and would have liked to stay longer.we are now planning our next trip to Penzance and would like to stay here again. Tom and Rita were perfect hosts. Cosy and homely accommodation, great location and wonderful breakfasts! We had extremely comfortable accommodation and the breakfasts were excellent. The position of the hotel was ideal for travelling around the area using the buses. Our two favourite restaurants were within easy walking distance. The weather was dry and sunny so we had all the ingredients for a perfect holiday. Lovely rooms with everything we needed. Great breakfast with lots of choice and very welcoming. Firstly, I would like to thank again Tom, Rita and Philip for making our 9 day stay so enjoyable. The hosts were really welcoming, making us feel at home and the service was excellent. The b&b is placed next to the town centre, the railway and bus station and Scillonian ferry. Our en-suite room, offering a marvellous sea view, was fully-equipped and spotless and our bed was really comfy. Breakfast was absolutely gorgeous, with first-quality local ingredients, served in a marvellous dining room, offering a cosy atmosphere. We gorged ourselves on fully Cornish breakfast, based on bacon, eggs, mushrooms, tomatoes, toasts, jamand marmelade, with plenty of tea and coffee. We have stayed at this b&b every summer since 2015 and Lombard House is first-class as ever! We'll definitely come back again and we thoroughly recommend Lombard House to anyone. We spent three nights here and had a lovely room with a view, and great service from Tom and Rita. A real home away from home with a tasty breakfast every morning. We would love to come back here one day! We would like to say a big Thank You to Tom, Rita and Phil for another excellent stay in Penzance. The rooms were so comfortable, spacious and clean and the breakfasts were delicious with so much choice. Tom Rita and Phil were very welcoming, attentive and friendly, making this an excellent choice for a break away. Would highly recommend! It was very cozy and great staying at Lombard House Hotel with my colleague.I hope I could stay longer on next time. After five nights in the Lombard House Hotel my wife and I both felt that we had been warmly welcomed, very well fed with lovely breakfasts in a very clean, tidy and comfortable hotel by a friendly, and very helpful family team.......thanks. Lombard House location convenient to restaurants and waterfront, easy parking, great sea view, charming home, great breakfast, terrific family run business! First class . Was here last year , enjoyed stay , would not look for anywhere else in Penzance . Actually have private parking , unlike some places that use the road outside but do not say so , just luck if there is room when one turns up . Warm welcome, excellent food and rooms. The location is very convenient for the quay and has secure parking. Welcoming and comfortable house and hosts. Excellent breakfast with abundant choice. Really enjoyed our stay. Tom and Rita were very welcoming. The room was spacious and comfortable. There was a good choice for breakfast, including cooked that was made to order and was delicious. Attractive accommodation with friendly service.Conveniently located. A modest looking B &B hotel on Regent terrace, appearing to be much like several others in the road but this must be the best.With its elegant decor, clean good sized rooms.Top quality bed linen and pillows along with delightful hosts and a good breakfast. Its hard to see how this could be beaten on any level. Very good value for money. We had a relaxing holiday your hotel is a very nice place and you all made us very welcome would recommend you to all our friends and family. Fantastic location and a nice size room. We had plenty of space to store all our walking gear without tripping over it. We were well looked after and made to feel special. Loved the variety of breakfast choices too. Thanks for a great stay. Fantastic hotel right on the sea front. Very clean, bright and airy room. Lovely breakfast. Would definitely stay again. Firstly, we would like to thank again Tom and Rita for making our 4 night stay really enjoyable, as they were really nice and accomodating. We have been there twice and the B&B has completely lived up to our expectations. The B&B is conveniently located next to Penzance town centre and the railways station as well. Moreover, our en-suite fully-equipped room was spotless, the bed really comfortable, offering fantastic sea view. Breakfast was absolutely gorgeous as usual, served in a marvellous dining room, offering top-quality local ingredients such as bacon and eggs, cheese, wholemeal toasts, marmelade and a wide range of jams. All in all, we would thoroughly recommend this B&B to anyone and we will definitely stay again. We had 3 very enjoyable nights at Lombard House Hotel. Our superior double room was large and comfortable with direct views out to the bay. 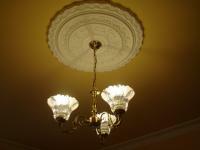 The hotel is of a traditional style and all in very good decorative order. The breakfast choice was good and freshly prepared to order. Tom and Rita were very welcoming friendly hosts. The hotel has plenty of free parking just across the road from the hotel. All in all we had a very comfortable and enjoyable stay and would have no hesitation in returning ourselves or recommending to others. The three of us thoroughly enjoyed our stay at the Lombard House . We were made to feel welcome, nothing was too much trouble and the hotel is situated in the right part of town, near all the best restaurants. Great place to stay. Lovely guest house. Perfect location. 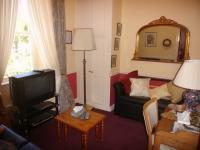 Close to town centre and seafront but set away from main road in a nice quiet spot with little passing traffic . Great breakfast choice. Very friendly hosts. Tom loves a chat.Good value. Excellent Wi Fi throughout hotel. Enjoyed my stay. Would recommend. Had we planned better we would have stayed at least one more night but we couldn't have picked a better or more welcoming place to stay.The entire establishment is well maintained and spotlessly clean.Tom and Rita seem to have thought of everything to make one's stay at the Lombard House Hotel pleasant and comfortable.Breakfasts were delicious and made to order.The room we had was large and the bed very comfortable.It is very conveniently located and reasonably priced.We highly recommend it. We had to stop over at very short notice as the Scillonian was cancelled due to bad weather, we sailed the next day. We were very well looked after, a beautiful comfortable room and excellent breakfast. We would certainly stay again in the future. Thank you to you both. That's my 5th visit now sadly over.It's like meeting old friends with Tom and Rita being fantastic hosts.Can't wait until my next visit. We really enjoyed the stay in your hotel. Wehope to come back and see you again.I'llsurelyrecommend your hotel to my friends. Very comfortable room. Excellent breakfast, Tom and Rita are very amenable customer service orientated hosts. Traveled on rail strike days. But Tom and Rita are really nice hosts that make us a great stay:they told us lots of interesting story in Cornwall area, hand-made us tasty breakfast. Most thankfully, they immediately arranged a delivery for the charger that I left in the room. Will definitely stay again there if I visit again, 5 star recommend! We very much enjoyed our stay at Lombard House. We would recommend it any time. The guest house is conveniently located near the Penzance harbour, making it easy to get to the train station, the Scillonian III (ferry to the Isles of Scilly), the town center and also the promenade. Everything is literally a few minutes' walk away.I've loved staying here:it felt like home, where I could enjoy a rich breakfast to start off the day and get back to in the evening, after having explored Cornwall.The staff was very helpful also in suggesting me what to do and where to go to make the best of my staying in Cornwall.I definitely recommend and would book again here! Lombard house is well located with good parking available. Our room was on the top floor, up several flights of stairs.It was comfortably appointed and had a wonderful view of the harbor in the front and a nice view from the bathroom in the rear.The breakfast was excellent and served in a lovely room on the lowest level. A good value. My sister and I really enjoyed our break in Penzance and we were very fortunate to stay at the Lombard.The room was lovely with all the added extras - lovely bedding and thick towels, toiletries, TV, robes and more.The breakfast was delicious - a great choice and very good quality.You made us feel very welcome and it was a delight to meet your family at breakfast!Thank you - we will definitely stay again. I cannot praise Lombard House Hotel enough. This is my second stay and once again was extremely happy with my stay.Great hosts, great breakfast. great room, grwat and free broadband. I have stayed in many a hotel and guest house but this is the best without question. Quiet, clean , good shower, good breakfast.Nice interior decoration.Really great. Firstly, I would like to thank Tom and Rita for making our 5 night stay so enjoyable. The hosts were really nice and accomodating and the service was excellent. The B&B is conveniently located next to the town centre and the railway station as well, which was essential for us. Our en-suite room was fully-equipped and really clean, offering wonderful sea view. Moreover, the bed was really comfortable. Breakfast was absolutely delicious, with top-quality local ingredients, served in a marvellous dining room, offering a cosy atmosphere. We gorged ourselves on unbeatable full English breakfast (personally, I thoroughly enjoyed their cheese, bacon, scrambled eggs and wholemeal toasts with marmelade). All in all, we would recommend this B&B to anyone and would stay againg. I enjoyed my stay with you very much!You have a perfect location and a very nice breakfast! A friendly B&B, good facilities, an excellent breakfast &very handy for the Isles of Scilly ferry. Excellent parking. we really enjoyed our stay with you indeed, the room was very nice, we felt very much at home and the breakfast was really good. 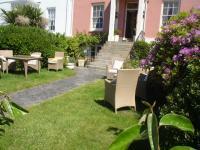 We would recommend you and stay at Lombard House again if we would stay in Cornwall again. Thank you We were most comfortable in rooms 5 &8. We enjoyed the good English breakfast and talking to the friendly other guests.Tom and Phillip made us so welcome. Sorry not tomeet Rita. We would recommend.If I'd asked about front steps we might not have come but all was well. Thank you for being great hosts, I had a really lovely stay at Lombard House and would love to visit again sometime. And thank you for arranging such good weather for my stay! Hope it's still sunny there. Nice clean family room with sea view, excellent breakfast, kind and helpful manager.We enjoyed our stay! Thank you we did enjoy our stay, your welcome host service and quality provided, best breakfast I have had.We hope to stay with you again. Thank you we had a lovely time, great breakfast and lovely view from the room. The owner is a very nice person, helpful and available for the clients.The room was very clean and nice.The breakfast is complete, fresh and good.I would strongly recommend this place ! Excellent accommodation and excellent hosts. Breakfast, plenty to eat. Highly recommended. I stayed at Lombard House for two nights in mid-April, and it was a very enjoyable stay. The room was light and airy, the proprietors were friendly without being intrusive, and there were all mod cons. The bed was fabulously comfortable which made for a great night's sleep, and there was a good breakfast to set me up for the day. Highly recommended. Many thanks for your hospitality and for the first class breakfast. Thank you for making my wife and I so welcome. We stayed in Lombard House for one night in August. We had a double room with a sea view, which had all we needed for a very comfortable stay, including tea, coffee and plenty of hot water for a bath for myself and shower for my husband. The bed and pillows were comfortable. Breakfast was just right! We could order the cooked food we wanted as well as a selection of cereals and fruit. Thank you for a very pleasant stay. This is an excellent choice of hotel. It offers sea views, free parking &verycomfortable, spacious rooms. The breakfast is very good with plenty of choice on the menu. 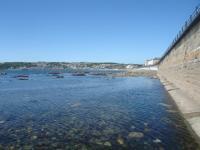 The location couldn`t be better - on the sea front within walking distance of the town centre, pubs &restaurants, Newlyn etc. We have just had the most enjoyable week staying here. Rita, Tom and Philip are delightful hosts. The rooms are spotlessly clean and well appointed, our room looked out to the bay, what a great view to wake up to! The breakfast was great, with a lovely selection of cereals, fruit cheese etc., and the "Full English"was all freshly cooked.Can't wait to stay here again. Just the hotel to spend time in Penzance, or, to have very easy access to the the ferry to the Scilly Isles. A beautiful hotel facing the sea front, the interior is very beautiful too. Welcomed warmly and careful instructions concerning the use of the room, meal times etc.. Excellent breakfasts, well-planned bedrooms. The hotel was excellent. Thank you Mr. and Mrs Kruge. We loved our stay with you!! Ifweever return, we will definitely contact you and also tell anyone we know that May be coming your way how nice it is. 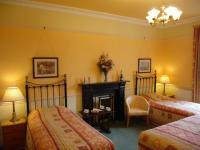 Thank you it was very enjoyable stay and we were delighted with the the room and breakfasts. Thank you both for looking after us again on our way to Scilly, and for looking after the car also.It is part of our holiday to see you both, and enjoy your warm welcome, friendly chats, and lovely breakfasts after a relaxing, comfortable nights sleep. Wir hatten ein Zimmer mit Meerblick und der war richtig schön. Sehr gutes Frühstück, schönes Zimmer, absolut sauber, großes Bett. Die Lage ist perfekt, Parkplatz ....! Wir werden wieder kommen. Lovely view of the sea from our room. Lovely gardens to sit in. Excellent location. Very accommodating hosts. Very nice cooked breakfast. Thankyou for a lovely stay.Very modern spotlessly clean B&B a warm welcome and great breakfast.We will defiantly stay again and would have no hesitation in recommending friends to stay. My wife and I had a four night break last week.Tom and Rita made us feel at home from the moment we walked through the door.The room was spotless and the variety at breakfast was outstanding. A perfect location and fantastic sea views.Would highly recommend. Uns hat der Aufenthalt im Lombard House Hotel gut gefallen. Das Hotel hat eine sehr gute Lage unweit der Küstenstraße und nicht weit vom Stadtzentrum Penzances entfernt, es ist dennoch ruhig gelegen. Es eignet sich gut als Ausgangspunkt für Touren in Cornwall. Es ist nur 10 Minuten vom Bahnhof bzw. Busbahnhof entfernt und vor dem Haus befindet sich ein Parkplatz. Die Zimmer mit einem Blick auf’s Meer sind hell, geschmackvoll eingerichtet und sehr sauber. Auch die Gastgeber sind sehr nett und zuvorkommend und morgens erwartete uns ein leckeres Frühstück, was teilweise als Buffet, und zum Teil frisch zubereitet wurde. Das Lombard kann man auf jeden Fall weiterempfehlen. We recently spent 3 nights at Lombard House.The house is in a wonderful position, just set back from the seafront and so is very quiet.The room was very comfortable and spacious.The breakfast and service is excellent.We would not hesitate to recommend anyone thinking of staying at Penzance to book Lombard House.The owners should be very proud of what they have achieved here.Thank you very much for a lovely few days.Chris &Gill. Wir eine Familie mit Kindern/ 15 und 12/,sind sehr nett von Tom empfangen worden. Zimmer,Frúhstúck,Parkplatz,Lage einfach TOP.Wir kônnen es nur mit einem guten Gewissen weiter EMPFEHLEN.vielen dank TOM und Mitarbeiter. The Lombard House Hotel is a delightful place to stay.The owners and staff were welcoming, charming and full of local knowledge.The room was of an excellent standard and the breakfast was delicious.This is a small hotel with spectacular views of the Penrith coast.I shall certainly be staying there again and recommending it to all who are visiting Penzance. We had been lucky enough to book this hotel for our 2-night stay at Penzance. The room is clean, good-sized and with a lovely sea view! Every single amenity inside it is of high standard,not the averaged B&B that you would had expected. The breakfast was also great and nice. Hosts are friendly and very welcoming! Thanks for having us indeed. Will definitely come back again in the future! A warm welcome, a spacious and clean room with a lovely view, a tasty breakfast with lots of choices! The Lombard is a fabulous place to stay. My daughter and I stayed in the most lovely room complete with all the features of the period of the house overlooking the sea. The breakfast was excellent with a wide variety of choice without being over the top and all of the staff we met were so nice. If I'm down that way in the future I'll certainly be staying there again. I had a fab few days of business down in Penzance. The room was clean and comfortable with lovely views. There was a good choice of breakfast both hot and cold choices. The hosts were very helpful and gave lots of information on how to get to places/ using the facilities etc. The only downside,and this is being picky and to do with the fixtures, is that room 5 had a bath with a shower head but no standing shower capabilities/ shower curtain which makes life difficult if you have long hair but otherwise a very pleasant establishment and well worth a visit!! Thank you for making me feel so welcome! Had a very pleasant stay at the Lombard House. Hotel was very clean and breakfast very good. Hotel owners were very helpful and accomodating--they allowed me to leave my bag with them after my checkout on Sunday. Would stay again with pleasure. I've stayed for one night, very nice place close to the train and ferry station, the local amenities and the sea. The room was clean and tidy, the service was friendly and welcoming. I would definitely return next time. Excellent all round, location, parking, room, breakfast. Very friendly hosts making it a perfect two days. Thank you for making our short stay so enjoyable. A lovely place to stay. Tom and Rita were very welcoming. Great breakfasts and a very convenient place to explore Penzance and beyond. We've been staying here whenever we visit cornwall, for 30 years. It's a lovely place, ideally situated for the local places of interest and for the short distances to places of interest in Penwith. The rooms are clean &cosy (though not small) and the views from the rooms are beautiful. Tom &Rita are the perfect hosts and serve an excellent choice of breakfast. We always feel at home here. Love it. 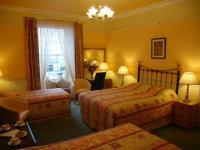 Friendly atmosphere , lovely rooms and good value. Definitely worth a visit. An excellent hotel with a great view.Rooms well appointed with upmarket furnishings and good quality toiletries.A great choice of breakfasts served in a lovely room with garden and sea views.Tom and Rita were excellent hosts who thought of everything. We were two couples on our way through Cornwall and stayed two nights in June at Lombard House Hotel.It was a perfect place to disccover Penzance and the beauty of the surrounding area, in a beautiful location with a warm and friendly welcome by Tom and Rita.Nice rooms and excellent breakfast. We will definitely come back when we come to Cornwall next time. Lombard house is a brilliant b&b, the owners were very friendly and helpful, the breakfast was 1st class and should Istop in Penzance again this b&b would be my first choice. We enjoyed our stay hugely. And many thanks for having made it such acomfortable one in every possible way. Thank you, my sister and I enjoyed our stay and were very comfortable. We hope to return before too long. Spotlessly clean room with excellent facilities ( just a little small Rm.10 )..Fabulous hearty breakfast with plenty of choice which sets you up for the day exploring the Cornish coast...Many thanks..! ps..already recommended you to my parents. Sehr schöne, gepflegte Familien Hotel. Frühstück mit liebe zubereitet. Alles war optimal und wir würden es wieder besuchen. Zimmer mit Meerblick. Everything you could wish for, helpful owner, comfortable room, great breakfasts, good value! Lovely service, good rooms and breakfast, wonderful sea views. Stayed in single room, can not fault the Lombard House Hotel.Welcomed by Tom and everything clearly explained. the room was lovely. single rooms in most hotels are usually a cupboard this was very well laid out and lovely and bright and the bed was so comfy.breakfast was excellent.on my way out I sneaked a peak in a couple of rooms that had just been vacated and cleaned :-) and they are gorgeous very well decorated and looked after.In all a great place to stay, close to everything.I will definitely be back next time I amdown in Penzance.the price was fantastic. Stayed for two nights over the bank holiday weekend. A friendly welcome and great advice really complemented our short break. Room was great with everything we needed and an excellent view of the bay. Breakfast was delicious. Would definitely stay again. Tom, Rita and their son Phillip run the Lombard Hotel.My wife and I have stayed there on countless occasions while attending events in Penzance such as Mazey Day and the recent Pirate Day for the Guinness Book of Records.Apart from being ideally central to the town, esplanade and all the events that make Penzance famous, the care and effort that is taken to every detail of the hotel is our main reason for returning.The rooms have fabulous sea views, the decor is immaculate, the cleanliness is of a high standard and everything in the bathroom works properly including the shower fittings.We feel that any defect would be immediately attended to which is why the standard is so high.Their private parking is a real advantage and breakfast has a wide menu to suit all.Can't wait for our next visit. We are really really enjoy our trip and our time at your hotel, and we all love there very much,especially the man who from Newcastle, he is a nice man with the warmest service and greatest hospitality i'v ever experienced. Since we are going back to China after a few weeks, you guys leave us a deep impression, I will miss the journey, miss UK .Thank you all very much! And hope you all safe and sound. 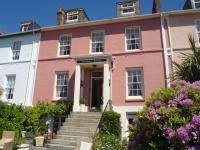 Immaculately presented and cared for period house.Very comfortable and enjoyable stay with wonderful hosts. Couldn't fault. We enjoyed our stay here. Good location, lovely sea view from our room, which was very clean and comfortable with good quality bedding and towels. Excellent breakfast, plenty of choice and freshly cooked.Free parking and wifi too. I was really like this hotel. It was a very clean place and perfect environment. The house-owner is quite friendly And nicely. i will recommend my friend to stay Penzance with this hotel in further. Come on. Enjoy your holiday. Very accommodating, comfortable and friendly. Lovely attention to detail and a very comfortable stay. Thank you Tom and Rita for your hospitality. Lombard House is a very gracious, comfortable and elegant establishment. It is convenient to many things of interest. Tom and Rita are friendly and welcoming hosts and have been thoughtful in many little details which make such a difference to comfort. My wife and I spent 3 days here and enjoyed our stay. The room was large, clean and had a good view over the harbour as it was at the top of the house. It was quiet, the breakfast was good and the owners friendly and helpful. A really nice hotel.We were very impressed with the high standard of rooms, furnishings, breakfast and the general level of hospitality.We were made to feel very welcome and we will certainly be returning to Lombard House on our next visit to Penzance. Tom and Rita were veryaccommodating and lovely people. Breakfast was excellent. The room was very clean and attended to every day. Convenient and quiet location. Comfortable bed with lots of facilities. I would definitely recommend this B&B to anyone. We can highly recommend this B&B. The rooms are nice and the breakfast is very good. Thanks Tom &Rita! wefoundtheaccomodation very comfortable veryclean.WEwerespoiltforchoicewithbreakfasttherewassomethingforeverybody.Tom and Rita wereveryfriendlyandhelpful.Wehavenoproblemwithrecommending LOMMBARDHOUSE toourfamilyandfriends.Thank youall for anenjoyablestay. Excellent as usual.Title says it all really, and I'm already looking forward to my next. Our stay at the historically significant Lombard House was excellent. We were allocated a cosy, comfortable room,with a panoramic sea view. The owners, Tom and Rita, embody the qualities of the 'perfect hosts', being exceptionlly attentive to the needs of their guests, by going out of their way to ensure a smooth, worry-free stay. Our experience at Lombard House compares more than favourably with more expensive, so-called 'modern' hotels which, in many cases, lack the personal and personable touches of this first class accommodation. We found the Lombard House a wonderful place to stay - lovely rooms, more ammenities than usual, great breakfast, and the best hosts ever. Rita and Tom made us feel at home. We were sorry to leave. Very friendly host, clean and comfortable room. We had a great time at the Lombard House Hotel. Great host!!! Great location, fantastic breakfast and very clean and nicely decorated rooms.Will definitely return. Thanks Rita and Tom for your kind, warm and friendly hospitality! !